Home BOLLYWOOD Farhan Khan Watches 20 Bhojpuri Films For Lucknow Central! Farhan Khan Watches 20 Bhojpuri Films For Lucknow Central! 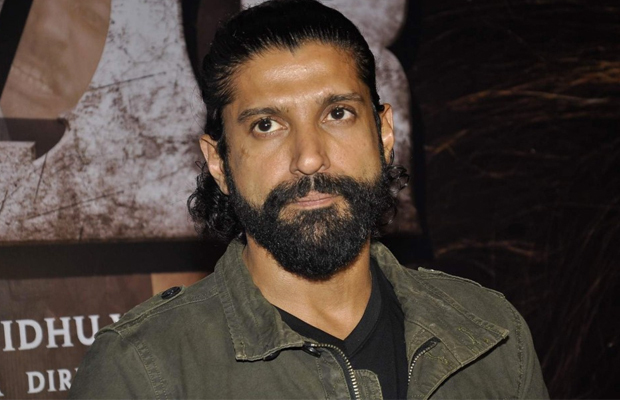 Bollywood’s multi-faceted star Farhan Akhtar is leaving no stone to get into the character of his upcoming movie Lucknow Central. The actor who plays an aspiring Bhojpuri singer, an ardent Manoj Tiwari fan in the film, watched 20 Bhojpuri movie to understand their cinema better. Farhan in order to get into the skin of his character, saw back to back movies of Manoj Tiwari and Ravi Kishan who are superstars of the Bhojpuri cinema. Films like Banke Bihari MLA (2007), Dhamaal Kayla Raja (2011), Hamaar Devdas (2012) and Sasura Bada Paisawala (2004), among others, were on Farhan’s list. Farhan started watching the movies a week before commencing the shoot which helped him to give away his best shot. The movie has special appearances by Bhojpuri actors Ravi Kishan and I Manoj Tiwari. The team of Lucknow Central have completed the shooting the jail sequence in Mumbai and is currently shooting for Lucknow Central in Lucknow. The movie is produced by Nikkhil Advani and directed by Ranjit Tiwari. Sources close to the team revealed,” Farhan likes to get into the skin of the character. He has seen so many Bhojpuri films to catch the flavour and background. He plays an aspiring actor who is a big fan of Manoj Tiwari. Farhan has watched films of Manoj Tiwari and Ravi Kishan who both are superstars of their industry. Also Watch: Aamir Khan, Shah Rukh Khan, Salman Khan’s SPECIAL Message For Kareena Kapoor Khan! Next articleCould These Celebrity Guests Manage To Cheer Up Kapil Sharma On His Fight With Sunil Grover?